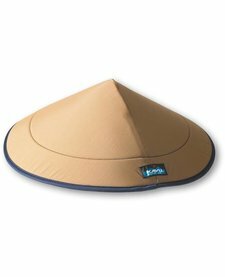 Our most popular Training hat, the Swift Cap has sun protection and a full mesh liner crown for superior ventilation in warm weather, while the shaped brim and nylon panels offer serious protection from the sun. 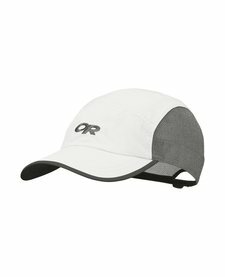 5 panel trucker hat, embroidered patch on foam front, rope trim, faux suede bill shipped flat but can adjust, mesh back with adjustable snap closure, interior moisture absorbing sweatband. 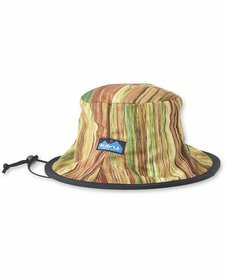 The KAVU Chillba sun hat gives you comfortable, stylish protection from the sun or rain. 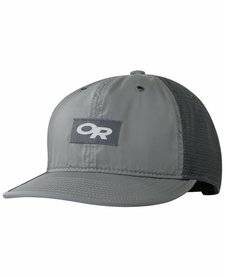 The drawcord chinstrap keeps it snug on your head, and the quick-dry poly mesh keeps you warm and dry. 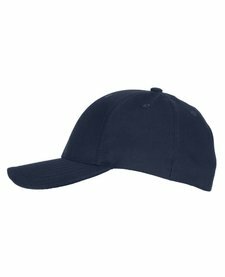 Made of polyester and built to last. 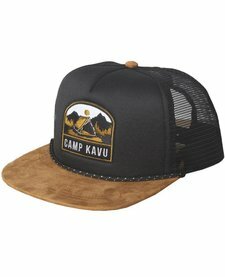 KAVU'S Fisherman's Chillba hat does it all. 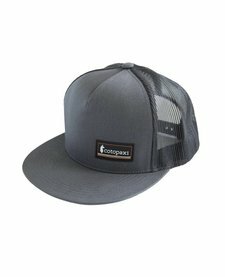 It's collapsible with a drawcord chinstrap with toggle keeps so the cap stays on your head where it belongs, while a stainless steel ring holds it in shape even after being folded and tucked in your pack.